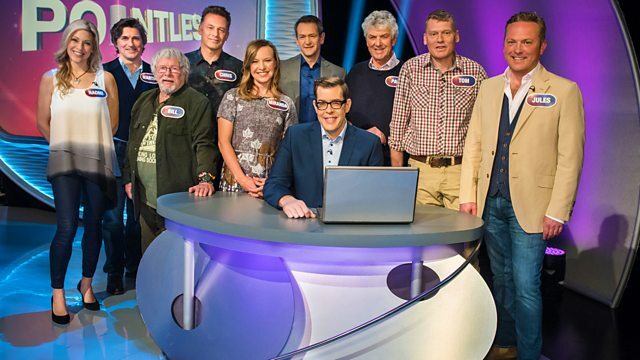 A celebrity edition of the quiz with Chris Packham, Martin Hughes-Games, Tom Heap, Jules Hudson, Miranda Krestovnikoff, Paul Heiney, Naomi Wilkinson and Bill Oddie. A special celebrity outdoors edition of the general knowledge quiz in which four teams try to come up with the answers that no-one else could think of. Presented by Alexander Armstrong and co-host Richard Osman. Featuring Chris Packham and Martin Hughes-Games, Tom Heap and Jules Hudson, Miranda Krestovnikoff and Paul Heiney, and Naomi Wilkinson and Bill Oddie.